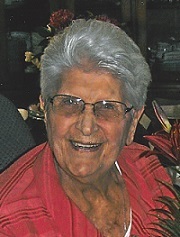 Betty Ruth Helms, 96, Nevada MO, retired to her home in heaven on February 9, 2019. She was born May 24, 1922 in rural Ralls County, MO to Allyn and Dilola (Jones) Turnbull. With written permission from her Mother on September 30, 1942, Betty became a part of history when she enlisted in the US Navy as one of the first enlisted women to serve in the WAVES. She was trained in Morse code and was a radioman at the Naval Air Station in Jacksonville, Florida, relieving men for combat duty. Betty often told the story about copying a message from one pilot that read “Silver wings in the moonlight”. After serving in the Navy, Betty attended college on the GI Bill. She attended University of Houston, University of Denver, and finishing her education at University of Missouri, Columbia, receiving a bachelor’s degree in accounting. Betty established her own business in 1961 as a transportation consultant for the trucking industry. The business, Helms Permit Agency, is still in existence today. Betty leaves behind one son Rick Helms, and his wife Janet of Rogersville, MO; one granddaughter Tracy (Ricky Dale) Carter, two great-grandsons, Kory and Kolton Carter, of Foreman, AR; one grandson Garah Helms, three great-granddaughters, Allison, Mika, and Lachlan, of Des Moines, IA. Betty also leaves behind one sister, LaVon Posey, Nevada MO, and a host of family including her loving nephew Mike Turnbull, and very special friends. In heaven, she was welcomed by her parents and grandparents, brothers and sisters including Mary Jean, Suzann, Pat, David, Judy, Marjorie, Bill, and Barbara Jo, extended family and so many wonderful friends. A Celebration of Betty’s life will be held on Wednesday, February 13th at 6pm, with visitation to immediately follow. Funeral service, with Military Rites, will be held at 1:00 p.m.on Thursday, February 14, 2019 at Missouri Veterans Cemetery, Jacksonville MO. In lieu of flowers, please consider a donation to Women in Military Service For America Memorial (The Women’s Memorial), Arlington, Va, in care of Ferry Funeral Home.